223 Columbus Avenue has a Walk Score of 98 out of 100. This location is a Walker’s Paradise so daily errands do not require a car. 223 Columbus Avenue is a five minute walk from the Framingham/Worcester Line, the Franklin Line and the Needham Line at the Back Bay stop. This location is in the Back Bay neighborhood in Boston. Nearby parks include Isabella Street Park, Childe Hassam Park and Copley Square. Explore how far you can travel by car, bus, bike and foot from 223 Columbus Avenue. 223 Columbus Avenue is a Rider’s Paradise which means world-class public transportation. Car sharing is available from Zipcar, RelayRides, Hertz On Demand and Enterprise CarShare. 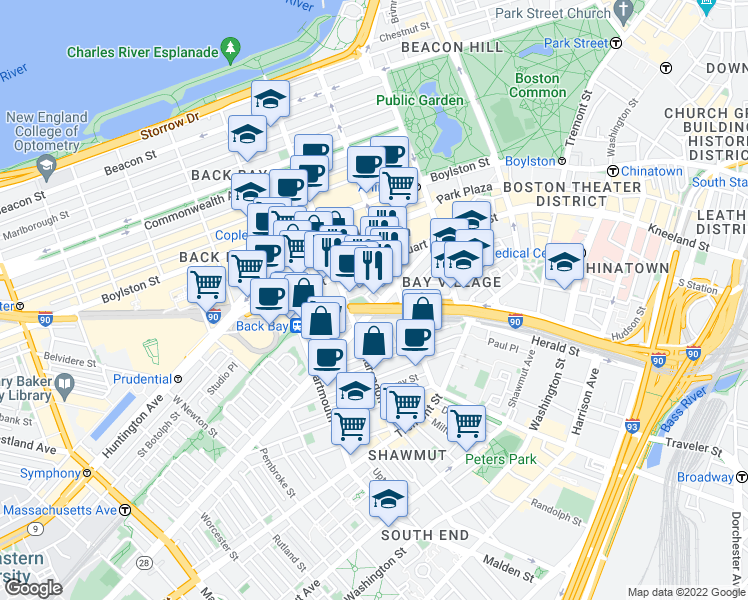 View all Back Bay apartments on a map. Popular apartment searches include furnished, fireplace and hardwood floor. 223 Columbus Avenue is in the Back Bay neighborhood. Back Bay is the 6th most walkable neighborhood in Boston with a neighborhood Walk Score of 96.